Since the initial story broke in April 2015 and Murfreesboro Review's first post detailing Sheriff Robert Arnold's history and the events surrounding the investigation a number of things have happened. One of the biggest was the joint TBI-FBI raids that happened on May 21. They raided the Rutherford County Sheriff's Office, Sheriff Arnold's home, his Chief Administrator Joe Russell's home and a second home of Russell's, and a location in Marietta, Georgia where JailCigs is based. According to FBI Special Agent in Charge Jeff Peterson, "The search warrants were for documents and digital evidence that was collected by forensic experts by both the TBI and FBI. That information will be analyzed for any evidentiary value". Soon after the ethics complaint was filed by Joe Liggett, Steve Lane, and Jacob Bogle, Arnold placed three officers on paid leave: Chief Administrator Joe Russell and Detective Bill Sharp were placed on paid leave a week or so after the complaint and Capt. John Frost was placed on paid leave on May 12, 2015. Also in May, Arnold hired one of the nation's top attorneys, Tom Dundon. Dundon, of Nashville's Neal & Harwell, has a history of representing corporations and government officials including, former Gov. Don Sundquist's associate Al Ganeir who awarded an illegal contract, and aviation manufacturers involved in plane crashes. A June 22 audit report of the Detention Center discovered several problems including: six non-functional security cameras, inadequate fire drills, problems with toxic waste and weapons logs, among other issues. This report came after Sheriff Arnold presented his budget to the County which has grown 31% since 2011. And at a time with officers on paid leave pending investigation, overtime was $900,000 more than last year. On July 1, after becoming connected with the ethics complaint, Arnold terminated a controversial arrangement with Telmate which provided inmates with computer tablets. According to an inmate's family member, the inmate is required to pay by the minute for use and the family member or friend is also required to pay $0.25 per text, in addition to the inmate's fees. There are a number of additional fees required of both inmates and those wishing to help them, ranging from a nearly $5 charge every single time a family member wants to deposit money into the inmate's commissary account, to outrageous fees for making phone calls. After being fired in 2012 by Joe Russell, Joy Nelson won a $307,500 settlement in an age discrimination suit on July 6, 2015. This means that tax payers have now had to pay over a combined $500,000 in settlements thanks to Sheriff Arnold and Joe Russell. 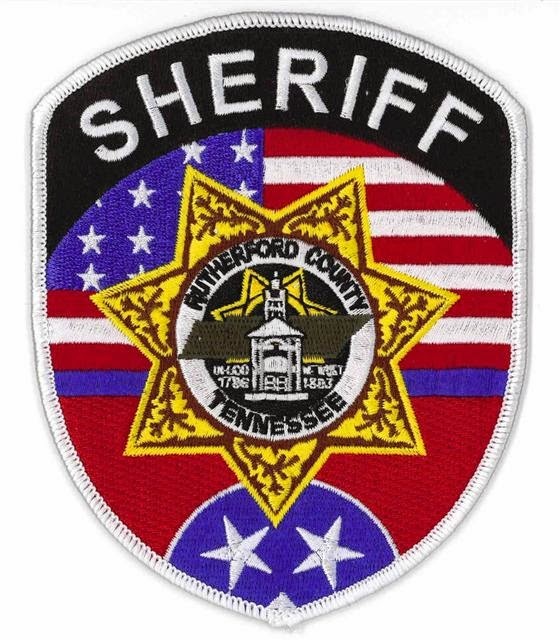 On July 11, the Editor's Board of the Daily News Journal contended that the Rutherford County Sheriff's Office under Arnold has suffered and that the citizens of Rutherford County deserve better. The DNJ cited the above mentioned settlement, an unfavorable audit result, and the ongoing investigations. It was announced on July 23, that Detective Bill Sharp would receive a 5 day suspension for operating a private business out of the Sheriff's Office and Capt. John Frost received a 10 day suspension for developing a computer code while at work that was then sold to a private company. On Aug. 25, 2015, it was revealed that the Sheriff's Office was being sued for wrongful termination, again. McKayla Black, who was hired in 2008, has alleged that she was fired based on her support for Arnold's political opponent. She also claims that she was demoted from booking officer to jailer once it became known she was pregnant. There have been several additional allegations by multiple people that they were either demoted or fired by Arnold after taking medical leave. On Sept. 18, Arnold fired 38-year RCSO veteran, and third-in-command, Deputy Chief Virgil Gammon. Gammon is considering legal action against the Sheriff's Office as no reason was given for his termination and it is widely believed he has information of interest to the TBI/FBI investigation and may have done his sworn duty by giving assistance.